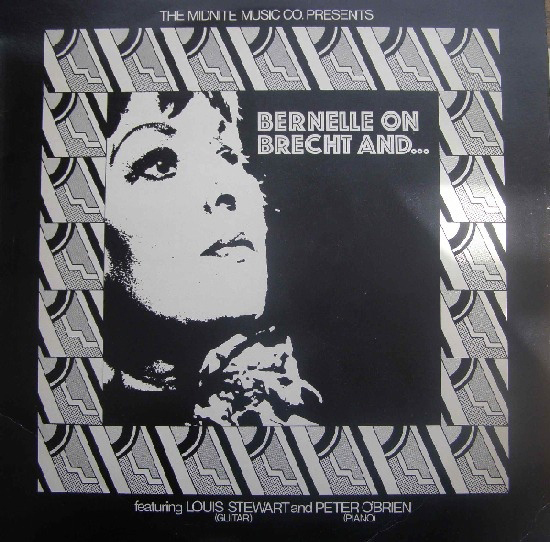 “Bernelle On Brecht And...” and… was produced by Philip Chevron of The Radiators and released in limited numbers by the Midnite Music Company in 1977, featuring Irish jazz musicians Louis Stewart and Peter O’Brien. 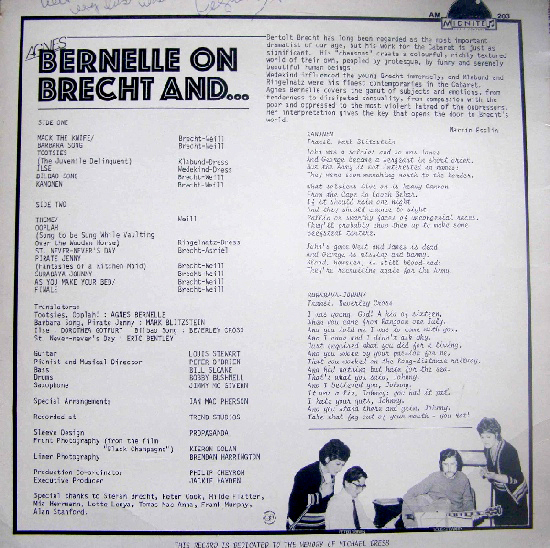 Tracks marked *written by Bertolt Brecht and Kurt Weill. Theme written by Kurt Weill. ‘Tootsies’ and ‘Ooplah’ appear again on Father’s Lying Dead On The Ironing Board, the latter retitled as ‘The Horse’.